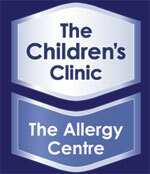 Description: Paediatric services, gluten allergies and food intolerance treatment . Hi Doctor Rodney Ford, I am Kay Barrett, you may remember Marco my grandson you diagnosed with Gluten Sensitivity and my daughter you diagnosed with the same. I already had coeliac disease diagnosed in 1982. I am wondering if you could give me a short list of any GPs in Christchurch whom you would recommend, who are gluten and coeliac informed and aware. Also can you recommend any GPs in Christchurch who are informed and working with patients with fibromyalgia. We as a family are indebted to your input into our lives in diagnosing both my daughter and my grandchild. They are doing soooo much better.